(Medical Xpress)—A team of researchers working at Harvard University has found evidence that suggests a certain type of bacteria found in colon cancer tumors makes its way to tumors in other body parts by traveling with the metastasizing cells. In their paper published in the journal Science, the group describes their study of the bacteria and its possible link to being a cause of colon cancer. Prior research has shown that bacteria exist alongside tumor cells for various types of cancers, causing some in the medical field to wonder if they are actually the cause of tumor formation. One such type of bacteria, Fusobacterium nucleatum, has been found to exist alongside colon cancer tumor cells. In this new effort, the researchers wondered if the same bacteria might exist alongside colon cancer tumor cells that have migrated to another part of the body, specifically, the liver. To find out, the researchers collected tissue samples from actual patients. In so doing, they found that in many cases the same strain of bacteria was present in tumors in both the colon and liver in patients where the cancer had metastasized. They also found that patients who had colon cancer but had no evidence of the bacteria in their tumors, also did not have the bacteria in their liver tumors. Intrigued by the findings, the researchers implanted tumors from human patients into healthy rats. In so doing they found that those tumors which also had the bacteria took hold and began growing. Those tumors that did not have the bacteria, on the other hand, failed to take hold. The team next tested the possibility of treating the colon cancer in mice by treating them with an antibiotic known to kill F. nucleatum. They found that doing so did indeed slow the growth of the tumor. In looking at all of their findings, the researchers suggest that it appears that the bacteria do travel with the tumor cells to a new site and remain with new tumors that develop in those sites. 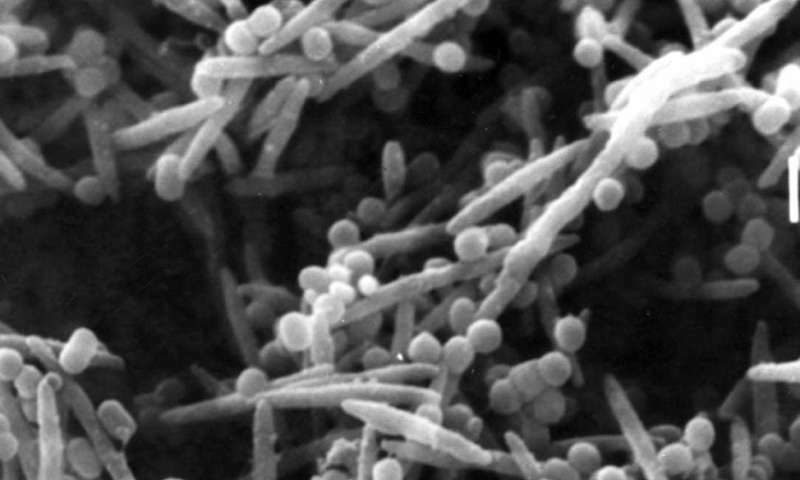 They suggest further that it might be possible that the bacteria aides in colonization at the new site. More research will be done, of course, to determine if the bacteria actually play a role in the development of tumors. Colorectal cancers comprise a complex mixture of malignant cells, non-transformed cells and microorganisms. Fusobacterium nucleatum is among the most prevalent bacterial species in colorectal cancer tissues. Here we show that colonization of human colorectal cancers with Fusobacterium and its associated microbiome, including Bacteroides, Selenomonas and Prevotella species, is maintained in distal metastases, demonstrating microbiome stability between paired primary-metastatic tumors. In situ hybridization analysis revealed that Fusobacterium is predominantly associated with cancer cells in the metastatic lesions. Mouse xenografts of human primary colorectal adenocarcinomas were found to retain viable Fusobacterium and its associated microbiome through successive passages. Treatment of mice bearing a colon cancer xenograft with the antibiotic metronidazole reduced Fusobacterium load, cancer cell proliferation and overall tumor growth. These observations argue for further investigation of antimicrobial interventions as a potential treatment for patients with Fusobacterium-associated colorectal cancer. Strep D/Strep faecalis known for decades.